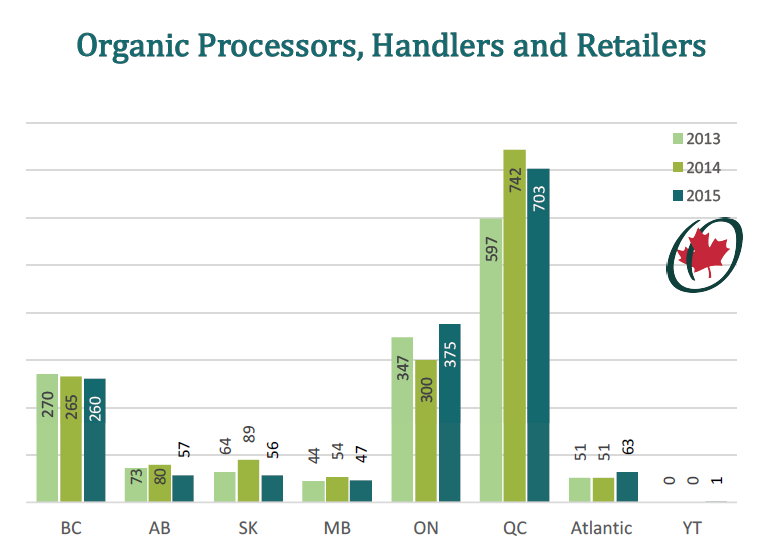 Last week, the Canada Organic Trade Association released its latest report on the state of organic agriculture and trade in Canada, using data collected in 2015. 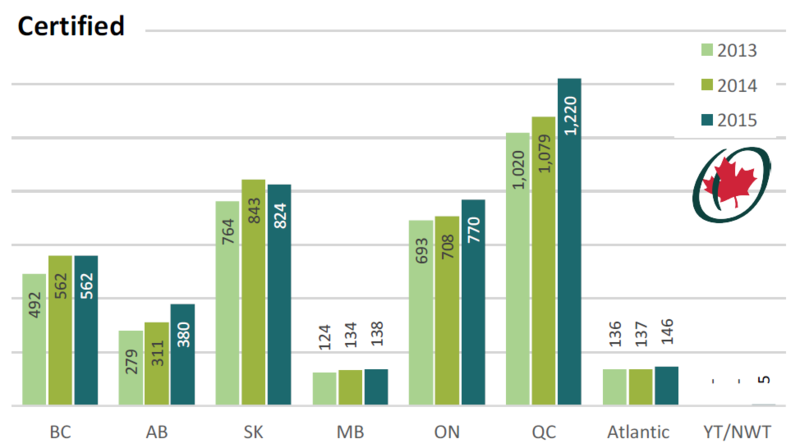 The report summarizes some of the national statistics, and breaks down the numbers by province. 1. Only 19% of Canada’s organic producers operate in Ontario, whereas 25% of all farming in the country is done here. 2. Ontario’s total number of producers will increase by just over 3% in the next few years. 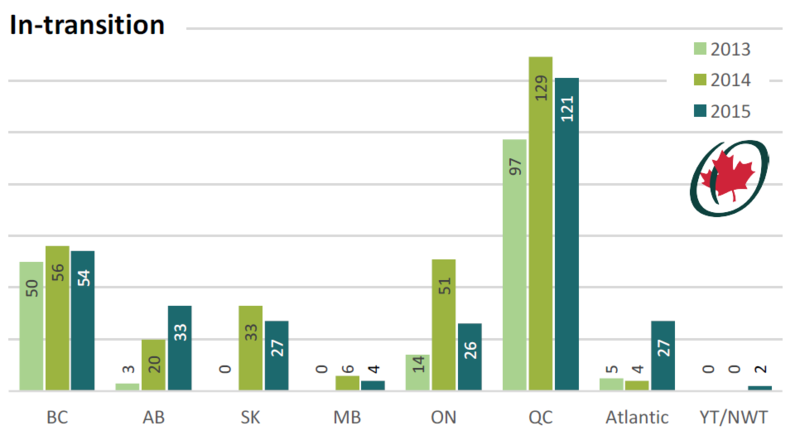 By comparison, Quebec and BC will increase their number of organic primary producers by about 10%, and Atlantic Canada’s number will grow by about 18%. 3. In 2015, the number of transitioning producers in Atlantic Canada increased significantly, likely due to the introduction of transitional support funding in Nova Scotia. With similar transitional supports, Ontario could see hundreds of new organic producers in just a few years. 4. Ontario is home to almost 1/4 of all the organic processors, handlers, and retailers in Canada, second only to Quebec, whose promotion of organic business has encouraged a whopping 45% of all of Canada’s organic processors to set up shop there. 5. Organic acreage in Canada is increasing by about 1.5% each year, while the average increase in organic sales in recent years is 13.6%. 6. From 2012 to 2015, Canada’s organic imports increased by almost 37%. We need to start increasing domestic organic supply in order to avoid an organic trade deficit. This report clearly indicates that Canadian farmers are unable to meet market demand, and that we are losing market share to imports. 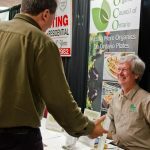 For Ontario, the economic benefit of supporting the conversion of conventional farmers to organic certification is clear. 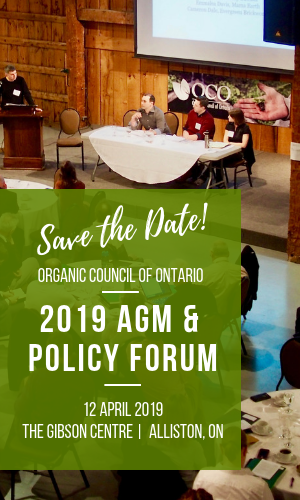 Join Us for Our 2017 AGM and Organic Feast!